2018 was another positive year for Spain in terms of real estate investment. However, aside from the country’s economic climate and a mortage rate cut to 3.9% , what are the factors that influenced the property market? Spain’s GDP grew 2.5% in 2018 – lower than the 3% but more then the previous three years, although still favourable when compared with other European countries. In 2018’s fourth quarter, Spain’s unemployment rate decreased to 14.45% – quite an impressive achievement from its all-time high of 26.94% in the beginning of 2013. In 2018, Spain welcomed 82.6 million foreign tourists – a record number for the country, according to the Spanish Ministry of Industry, Commerce and Tourism. This translates into 400,000 more visitors and an increase in spending of 3.1% to €90 billion. 82.2 million tourists travelled to Spain in 2017, beaten only by the 89.9 million who visited France. Currently, tourism contributes 13% of Spain’s overall GDP. Interest rates may be favourable, but Spain’s financial effort rate increased slightly (from 30.9% in July 2017 to 32.1% in July 2018). This was due to a slow growth in salaries (household income) and rising housing costs. Since the Spanish economy began to recover from the 2008 financial crisis, the demand for mortgage credit has remained relatively low. This suggests that a large percentage of property buyers have the necessary funds available. According to figures for the third quarter of 2018, the number of new homebuyer mortgages came to 44% of all completed transactions. This was a much smaller number than 2008’s first quarter (57%). The top three regions with the biggest growth in terms of mortgages issued are The Basque Country (up 20.1% to 1.333 mortgages); The Valencian Community (increased by 17.3% to 2.456 mortgages); and Catalonia (12% more to 3.390 mortgages). The lengthy lead-times for new housing. 2018 saw the Spanish property market growing steadily, with about 515,051 properties[ exchanging hands during the year. This translates into a 10% increase from 2017, according to the National Institute of Statistics (INE). Expats seemed more interested in buying houses in Spain than locals, according a report by the College of Property Registrars (Colegio de Registradores de la Propiedad). 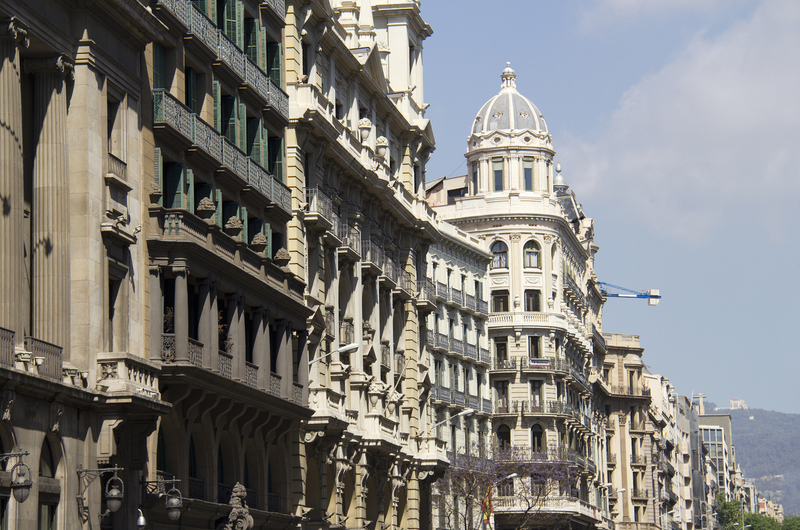 The percentage of property purchases by non-Spaniards in Spain totalled 12.6% in 2018, with no fewer than 516,680 transactions, the highest figure in the last 10 years (even with house prices increasing by 8.2%). This signifies a growth of 7.6% year-on-year. Which expats are purchasing the most properties in Spain? The British are still in the lead, responsible for 15.3% of purchases by international buyers in Spain. They are followed by the Germans (7.4%), French (7.4%), Belgians (6.3%), Swedes (5.9%), Romanians (5.5%) and Italians (5.4%). The demand by foreigners for touristic properties forms the majority, particularly from European nationalities with high per capita incomes. As the economic recovery progresses, symbolised by a growth in GDP and employment, non-Spaniard employees in Spain is increasing. 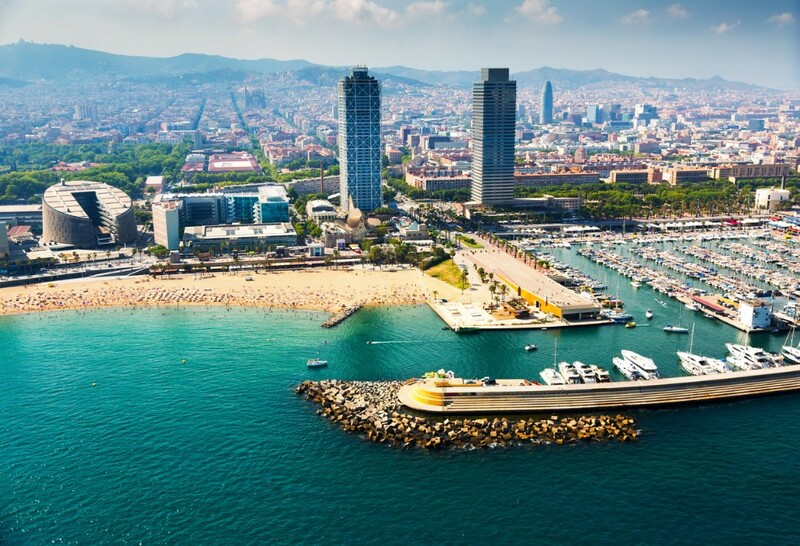 The number of 2018 sales transactions in Barcelona increased by just over 2% from the previous year. This translates into 4,593 sales per month, largely due to 2017’s political situation. Sales transactions of new homes showed a more noteworthy increase (18%) when compared with 2017’s figures, representing 15% of the total number of sales in 2018 (compared to 2017’s 13%). 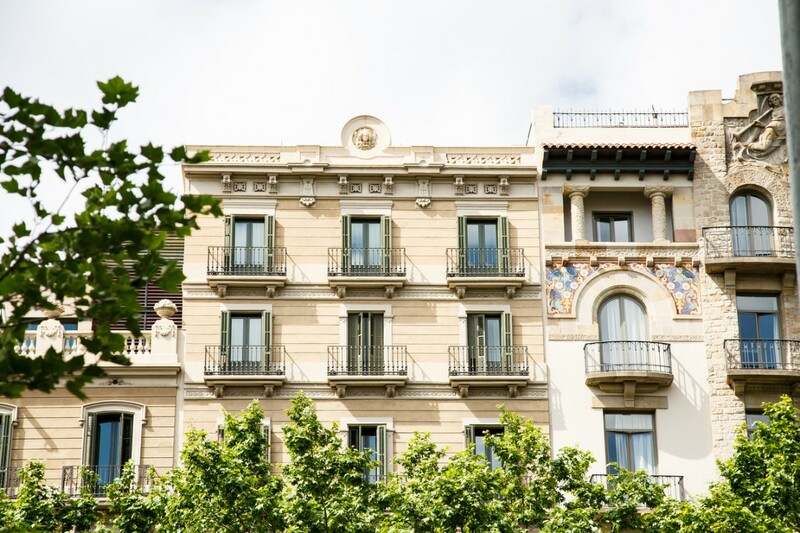 In terms of foreign buyers in Barcelona, 9% of total sales for 2018’s fourth quarter were due to purchases by non-Spaniards, a slight decrease from the year before. 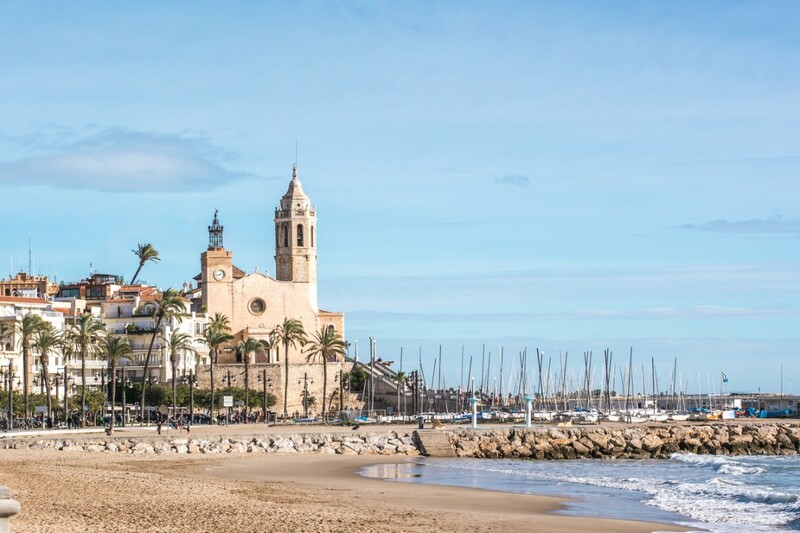 The average property prices in Barcelona rose slightly, signifying a 1.4% increase at the end of 2018 according to Lucas Fox and 2% according Engel & Volkers . However, prices have risen considerably (by 40%) since the start of the property turnaround in mid 2014. Some of the demand for residential properties can be attributed to institutional investors who have branched out their property portfolios. 2018 saw a significant upswing, with total investments exceeding €4,270 million. Meanwhile, direct investment in residential property is also increasing – in 2018 it exceeded €898 million, more than 2017’s recorded €422 million. A decade ago, the property market was dominated by domestic private investors. Today, the majority of the demand for residential investment comes from investment vehicles, institutional funds and insurance companies – with international capital often involved. Although economic and political stability, decrease of unemployment and salary growth in combinations with the affordable mortgage rates should result in the growing purchase power of the Spanish citizens very soon. 2018 undoubtedly saw a strong growth in the residential investment market, and it is expected to extend into the rest of 2019. Rising home buyers’ effort rates, accessible financing conditions, and a more certain economic climate – Spain’s GDP is set to grow with 2.4% in 2019, a much faster rate than the European average – will all influence this pattern. The property market of Spain should continue to enjoy another optimistic year, thanks to a rising number of investors and increased purchasing power.